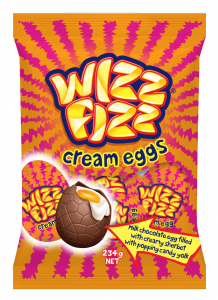 Home | Blog | Wizz Fizz Cream Eggs Are Here! 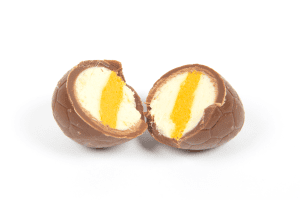 Wizz Fizz is now available in a cream egg and we are drooling! If you haven’t heard of Wizz Fizz before, it’s Australia’s most iconic sherbet since 1947. Most people know them for their seriously fizzy original sherbet pack that you eat with a spoon. The latest addition to the family is the Wizz Fizz Cream Egg. It’s landed in Woolworths and Target just in time for Easter! Best described as a delicious, creamy milk chocolate egg and as you crack it open, their’s a surprise on the inside (but we won’t spoil it, you’ll have to try it to find out). My mouth is tingling at the thought! Oh my! I am certainly going to add this to my shopping trolley the next time I head out to Woolworths! Wow, these look so interesting. My kids will certainly want some. Might just have to buy some of these to try them – thanks for letting us know about it. I have not seen these and I love cream eggs! Wizz Fizz Eggs – yes please – such fun! These do sound interesting,will try definitely! I’d like to give these a try but have not been able to find them as yet. I love Wizz Fizz, just not sure about chocolate and Wizz Fizz together. I’ll give anything a try but I’m not sure about these. I don’t like sherbet, so I’m not excited. Easter Eggs and Hot Cross Buns appeared in the shops immediately after Christmas.